Are you thinking about changing the environment of your home? You can consider adding a new garage pad to your property. Alternatively, you can think of increasing the size of the garage pad to make it more comfortable. 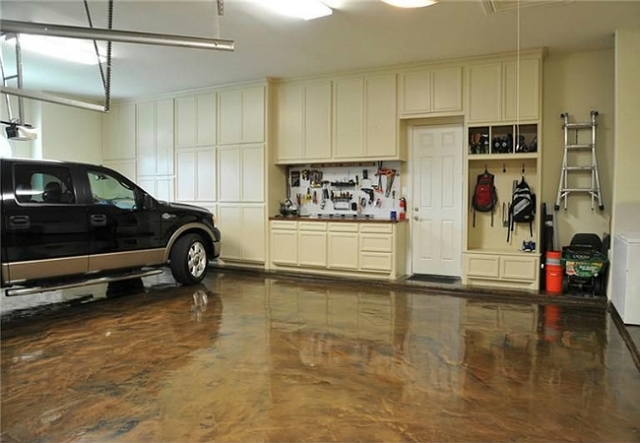 A new concrete garage pad can add value and utility to your home. You have many options of decorating it. A smooth look is the most common and popular finish, but a stamped finish can be also used for a more decorative personal result. But, before thinking of the decorate aspect; you have to consider an important thing. Remember that a garage can only be as good as its foundation. If the contractor commits any mistake, it can damage the structural integrity of the garage pad. And, at Pour Concrete, our team of skilled professionals know the ins and outs of the business. To ensure the strength and the longevity of the garage pad, we ensure the foundation to be of minimum 4 inches thick. Your newly installed garage pad will be able to stand the test of time. It is because every garage pad that we build meets the specifications and adheres to all engineering requirements. For Pour Concrete, garage pad construction is our bread and butter. We prepare for installing a sound and beautiful garage pad that is resistant to cracking. Why hire an Expert Concrete Contractor? It is essential to hire an expert concrete contractor such as Pour Concrete because we guarantee perfect installation of garage pads in Toronto and Greater Toronto Area. We pay close attention to detail so that the garage pads don’t suffer any cracking due to freeze and thaw cycles. We believe that persistence and hard work pays off in the end. So, we put our heart into the work. Our dedication ensures that our customers refer us to their friends and family alike. We want every garage pad installation to be a pleasant and rewarding experience. Pour Concrete ensures that the garage pads can take the pounding from constant traffic. It’s our guarantee! When you need a professional concrete company to install a brand new garage pad, trust the professionals at Pour Concrete to execute the project from concept to completion. When you see the final product, you will be glad that you chose us. A happy and satisfied customer is what drives our business. We are ready to tackle the next project, enquire online today or give us call on (647) 847-4009.